Essential oils are a super concentrated form of plants & herbs. They’re an aromatic liquid that’s extracted from trees, flowers, seeds, shrubs, roots, or herbs. It’s sort of like the plant’s “immune system”, which is why it’s often called the “life blood” of a plant. Herbal remedies have been used for thousands of years–as have essential oils. Did you know they’re even mentioned in the Bible?! Essential oils are not a new fad. As our healthcare industry is becoming more costly and as we see some of the hazards of conventional medicine, many people are turning to essential oils when they can to support their health and emotions in a natural way. But…. there’s always a but. Not all essential oils are created equal. There is no governing body that does quality control checks or requires Essential oils to meet certain standards. That means, an oil can say “100% Pure” and have as little as 5% of the actual essential oil in it…. And they don’t have to put on the label what that other 95% contains…eeek! I didn’t buy into the whole quality thing initially. That changed real quick when I put diluted “100% pure” lavender oil on my child and she broke out in hives. So I dove into research. I love to research things…. I used to be a nurse and love to know all the science and facts. After all that scouring and digging around, I decided that Young Living was a company that I trusted and that I felt comfortable using on my kids. They’ve been around for over 20 years! What sold me on Young Living was how transparent they are… they have beyond organic standards and have set the bar super high for themselves in regards to quality. Find out more at their seed to seal page. For those of you who don’t have time to read through there… the spark notes version is that they follow their plants from seed to seal. No pesticides or chemicals are used in the growing process. They use sustainable farming–nourishing the land in between harvests to be sure the soil doesn’t become nutrient deficient. They own their own farms and partner with farmers. They distill their own oils–test them in house and by third party… Then seal them in their bottling plant in Utah… and send them straight to your door ensuring that high standard. Okay. Okay. Okay…. now how the heck do I use these things?! Essential oils can be used topically, aromatically, and internally. So you can rub them on your skin–inhale them from your hands or in a diffuser–or drink them in your water or take them in a capsule. How do I get started? Lucky for you, Young Living has a Handy Dandy….STARTER KIT. It’s got 11 oils, a diffuser, some samples and other goodies. When you purchase a starter kit it makes you a member… Like costco…you get awesome wholesale prices when purchasing through your account. Check out my video to get the inside scoop on the kit! I got started with Young Living’s Premium Starter kit. Honestly–I knew nothing about it except that it was the best deal. I tried pricing things out individually and it was WAY more expensive to build my own kit…. Plus it’s overwhelming trying to figure out exactly what I needed. 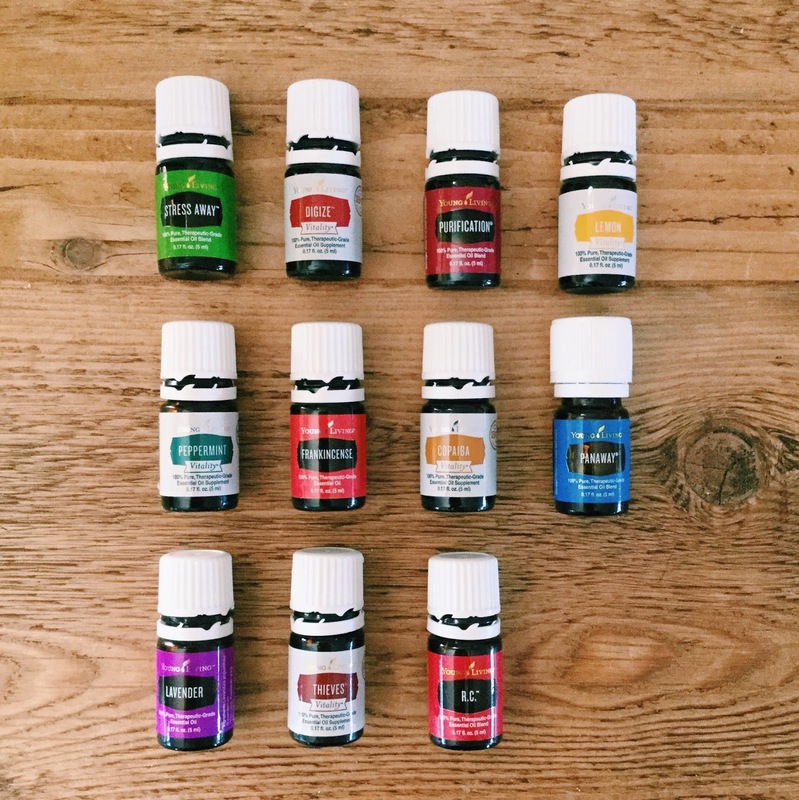 Luckily Young Living has picked some of the most popular essential oils and blends, bundled them with a diffuser and given us an awesome deal to get started. The Premium Starter kit is $160 for the standard diffuser options. Seriously it’s like 50% off the retail price…. the kit really is the best bang for your buck… then remember you get wholesale prices after that…. Score. So now you’re ready to get your kit!!! Great! It’s really easy to get started. Purchase a Basic Kit and add on the things you need. This still makes you a member which means you get 24% off the stuff you buy! Purchase Items as a retail customer. You’ll pay full retail price. READY TO GRAB YOUR KIT? Step 1: Click Member. Signing up as a wholesale member means you get the awesome wholesale prices which are 24% off of retail price. This also means that you can join our oily FB hangout group. If you are interested in selling or sharing oils with others, I love helping women (and men–I dont discriminate) earn an income to support their family. We offer loads of free resources and materials to help you get started. BUT, even if you don’t want to sell–wholesale is the way to go. Step 2: Be sure that my member # (2293330) is filled in as sponsor and enroller. This will ensure you get my welcome packet and access to our oily hangout group on FB. Step 3: choose the premium starter kit you’d like. The Desert Mist and Dewdrop diffusers are the standard models. Check out my review of Young Living diffusers to help you choose. Step 4: If you know you’ll want to be ordering often, go ahead and sign up for essential rewards. You earn points to get free products, get reduced shipping, access to special kits and freebies, and an extra 10% back on your kit as a gift card. Check out explanation of Young Living’s Essential Rewards for more info. Step 5: Now’s a great time to add anything else you want with your brand new 24% off discount. Some of my suggestions are Cedarwood, Citrus fresh, Thieves Cleaning concentrate, Deep Relief, Peace & Calming (II), Valor, Northern Lights Black Spruce, and Joy. Let me know if you want support for anything specific and I’ll help you find something you’ll like best. Step 6: Check out the Dollar total and also the PV total. Young Living offers extra bonuses and freebies for hitting 190, 250, or 300PV–that means you can get bonus freebies automatically added to your order. The freebies change each month. And if you’re looking to go big—Jump in with both feet? Are you ALL IN?! Grab your kit, hop on essential rewards and snag the NingXia Red Essential Rewards Kit to support your ENTIRE body…. and add the Thieves Essential Rewards Kit to revamp your home with all chemical free products!…plus you’ll get ALL the freebies! Plus! If you join with Essential rewards at the same time– you’ll get a free bottle of Nutmeg from Young Living and I’ll also give you an extra $20 back! Whooo! Just mention this post when we chat!!! Can’t wait to help you get started.